Save with our ‘In Between’ rates! Preparing for the next big match, competition, or just a friendly social? Choose Selwyns Travel for your coach hire. Are you a football fan looking to hire a minibus or coach to watch the live football matches within the UK? Our bases in Runcorn and Manchester are perfectly located to take groups to home matches or away games, whether you’re a red or a blue! For groups of 16 or more, coach hire is a cost effective, comfortable alternative to trains, taxis or cramming in each other’s cars! Our prices are competitive and every quotation is based on your individual requirements, maximising value for money. Whatever the purpose of your coach hire, Selwyns can deliver! Our Runcorn and Sharston depots enable us to cater for coach hire in Liverpool, Cheshire, Wirral and Greater Manchester, taking you all over the UK and even Europe! We can also provide airport transfers and port transfers if you’re going overseas! We recently had the pleasure of escorting Triathlon England North West’s T2 & T3 teams to Strathclyde for the Inter Regional Championships! Our standard fleet ranges from our 16 seater minibuses, through to our 80 seater double deckers. 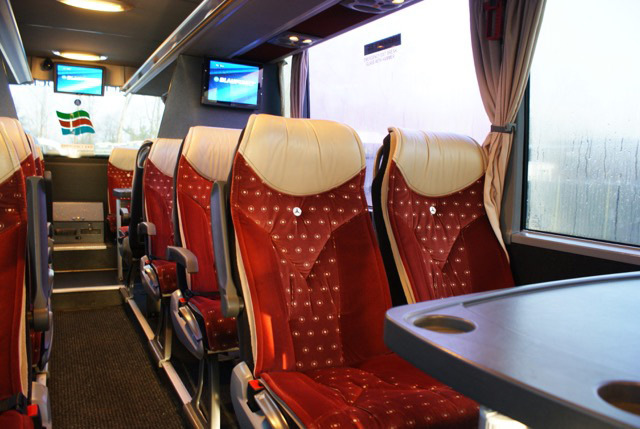 Our Executive and Executive Plus vehicles come in 49 seats and 57 seats. For a no obligation quote for your sporting event coach hire, fill in our Quick Quote form online. Alternatively, if you need advice or would rather book over the phone, call Runcorn: 01928 529 036 or Manchester: 0161 223 3103 to speak to a member of our friendly sales team. Thanks for submitting your quote form. A member of our team will be in touch shortly. If you want to talk to us please contact us on the numbers above. Selwyns Travel Customer Service Team. Enter your details below and a member of our team will get back to you asap.